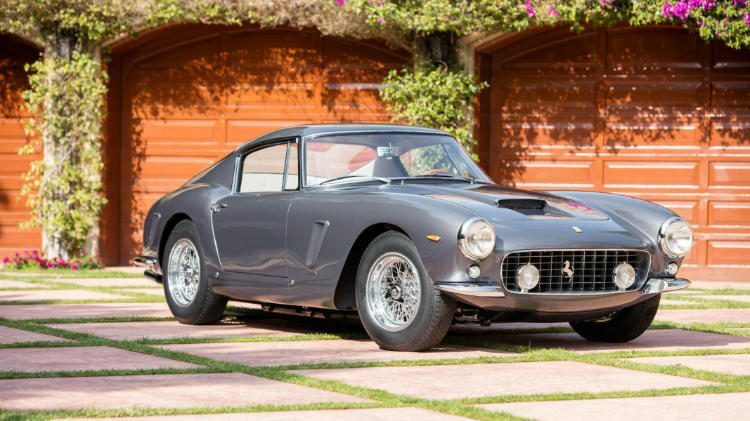 A Ferrari 250 GT SWB Berlinetta, Mercedes-Benz 540K Sports Roadster and Bugatti Chiron are the top lots at the Bonhams Quail Lodge 2018 sale. The top multimillion-dollar cars on offer at the Bonhams Quail Lodge classic car auction during Monterey Week 2018 are a 1962 Ferrari 250 GT SWB Berlinetta, a 1937 Mercedes-Benz 540K Sports Roadster, a 2018 Bugatti Chiron and a 1948 Alfa Romeo 6C 2500 Competizione. Classic early Bentleys are also on offer. 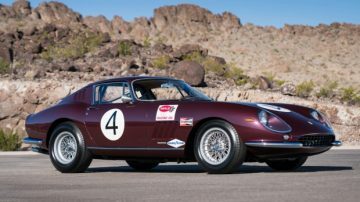 The most-expensive car on offer at the Bonhams sale during Monterey Week 2018 is a 1962 Ferrari 250 GT SWB Berlinetta – it is also the only car in the auction for which a pre-sale estimate was not announced. 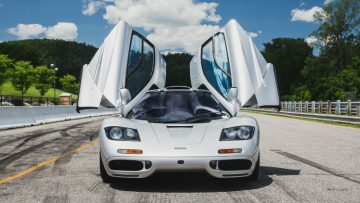 At recent auctions, standard versions of this model generally sold for just below $10 million while competition versions have sold for above $13 million. The 1962 Ferrari 250 GT SWB Berlinetta, chassis 3337 GT, is a superbly restored matching-numbers example. It is a multiple awards winning vehicle including a perfect 100 points at the FCA’s international meeting in Monterey in 2015, best in the “Great Ferraris” class at Quail Lodge in 2015 and second in class at Pebble Beach in 2017. 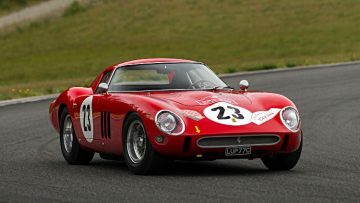 See also 1962 Ferrari 250 GT SWB Berlinetta Announcement for more on this car. The 1937 Mercedes-Benz 540K Sports Roadster has a unique one-off coachwork by Mayfair. The car was damaged in an arson attack in Canada in 1960 but restored to its original appearance. The signal red paint scheme is courtesy of a Las Vegas owner in the 1990s. Enticingly for a new owner, the car has not been shown at public concours events for over a decade. 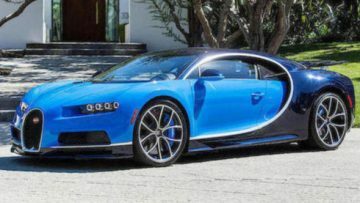 The 2018 Bugatti Chiron is one of only 500 that will be produced and is finished in the popular two-tone Atlantic Blue and French Racing Blue. As with other Chirons thus far offered at auction, the car is a very low-mileage example with only 480 miles on the clock, of which half is ascribed to factory testing. Thus far, only two Bugatti Chirons have been sold at public auction, achieving almost $3.8 and $4.1 million. Five of the older Veyrons will be on offer during Monterey Week 2018 including three at Mecum. 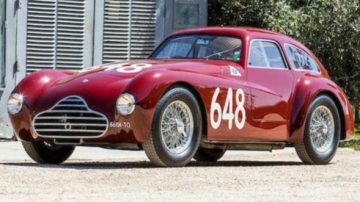 The 1948 Alfa Romeo 6C 2500 Competizione is the sole survivor of three competition berlinettas built with the aim of winning the Mille Miglia. Although it failed in that mission, the car on offer was raced by a privateer – Franco Rol – to a class win and third place overall – behind two Ferraris – at the Mille Miglia in 1949. The Alfa Romeo was extensively raced in period including four Mille Miglia races and many other events such as races at Targa Florio, where it finished second over all in 1949. Rol and some of his friends raced the car in Italy until 1951 and it was raced after that in Switzerland for a few more years. It then spent decades in Michel Dovaz’s collection before being restored around 2000. 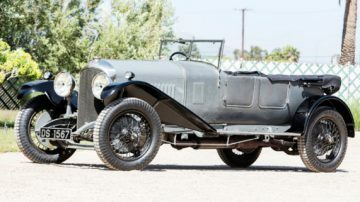 The restored car scored 100 points at the 2005 Pebble Beach Concours d’Elegance but missed first in class as a brake light failed at the critical moment. 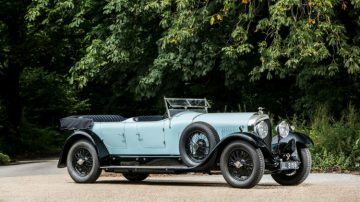 Several classic Bentleys will be on offer during the Monterey Week 2018 auctions but the best example is the 1928 Bentley 6 ½ -Liter Open Sports Tourer by Barker at Bonhams Quail Lodge. This car is the sole surviving Bentley with this Barker body style and has a known history from new. The car spent more than seven decades in South Africa and was only comprehensively restored after returning to the UK in recent years. Although restored to concours condition, it has not yet been shown at major events. The smaller 1929 Bentley 4 ½-Liter Open Tourer by Vanden Plas in contrast spent most of its life in the UK. It is considered one of the most original examples – it is unmodified and completely correct. The 1931 Bentley 8-Liter Saloon with coachwork by Vanden Plas was the penultimate 8-liter produced by Bentley and originally sold to J.A. Player – famous for tobacco products and car racing sponsorships. The well maintained car has been in single-family ownership since 1962. 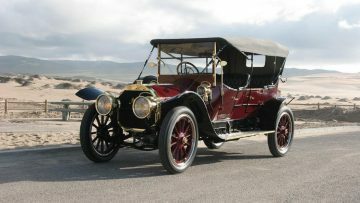 The 1913 Mercedes 28/60 HP Phaeton is one of only two pre-First World War cars offered at the Monterey 2018 auctions with presale estimates above a million dollar. This Mercedes was comprehensively restored in 2008 and was extensively used for touring on HCCA events by its owner for over 40 years. It could become the second Mercedes (sans Benz) to sell for over a million dollar. The 1936 Mercedes-Benz 500K Touring Phaeton is one of only 16 produced with Tourenwagen coachwork. It was restored in the 1990s and subsequently shown at Pebble Beach Concours d’Elegance in 2008 and also at the Amelia Island Concours in 2010. Only one of the eight Mercedes Benz 300 SLs on offer at the auctions during the week will be at Bonhams: a 1955 Mercedes Benz 300 SL Gullwing. This matching-numbers car is in an outstandingly original preserved condition that includes the original factory paint and interior. It had only two owners in the past seven decades. 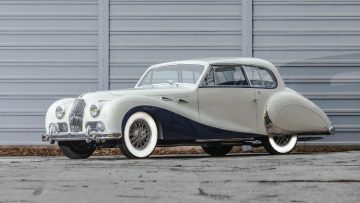 A 1948 Talbot-Lago T26 Record Sport with coachwork by Saoutchik is one of the most elegant cars on offer at the Monterey 2018 classic car auctions. This car is a unique one-off design and won Le Grand Prix du Salon in Paris in 1950. The car was recently restored to its original livery and has never been shown at a modern concours. Other than the Bugatti Chiron, the 2015 Porsche 918 Weissach Spyder is the only modern million-dollar hypercar on offer at Bonhams Quail Lodge 2018. The car number 586 is one of only 294 US-specification 918s built. It has a relatively high mileage for this model at auction – 8,000 – and thus comes with an estimate significantly lower than for the two on offer at Mecum and Gooding.